who may be interested in franchising their business. Start answering the call right here. The right franchise / business opportunity for you. Every year, thousands of people dream of owning a business and are drawn to the independence, flexibility and freedom of being self-employed. The job market as we have known it continues to change, so people are retooling their vision of how they will make a living in the years to come. This is driving people of all ages and career types to pursue self-employment options, including small business ownership as the “new” career of choice. Today, creating your own job has become the new path to job security. Studies show that 82% of Americans say they would like to own their own business. Six in 10 young adults have considered starting a business. Four in 10 millennials say they want to be their own boss. Franchising is an ideal route to small-business ownership, because the attendant systems and brand recognition are already in place. A franchise / business opportunity may not be right for everyone and they are certainly not all created equal, but a good business model can lower the risk factor and accelerate one’s potential for long term success. The key is finding the right match between the franchise / business opportunity model and the owner-operator. Oliver Wendell Holmes once said, “The great thing in this world is not so much where you stand, as in what direction you are moving.” Are you allowing your professional life to wander aimlessly, or stand still? Do you dislike your corporate job, but don’t know how to find your real niche in life? because the dreamer lacks the courage to take the first step. "Everything Big Starts with Something Little"
All successful people are faithful in the small things. There is power in taking small steps.Many people are not moving forward today simply because they were not willing to take the small step placed before them. If you have a dream to go into any particular area, you should leap at the opportunity—no matter how small—to move in the direction of your dream. For example: if you dream of being a college basketball coach and are sitting at home waiting for an invitation from Roy Williams at North Carolina University, you should know that call will never come. You need to find an opportunity to coach somewhere, anywhere. Find a young person, a young team. Jump in and coach with all of your heart, like you would if you were coaching at the highest level.Do you have a dream to be self-employed…to own you own business? Does this dream inspire you, energize you, and stir your inner drive to do everything you can to achieve it? Perhaps the most important question is, “How will you achieve your dream”? The answer to this question is imperative because “it is the reason” most people never realize their dream. Too often franchise business owner "wannabes" simply lose their focus and drift away. These people who really want to own a business don’t ever get to enjoy this wonderful experience because they allow the "FUD (Fear, Uncertainty & Doubt) Factor" to grow, fester and steal their dream. Don’t be afraid to take small steps. There’s something powerful about momentum…no matter how small. Many times the impossible is simply the untried. I can remember a time in my life when I was immobilized with fear, consumed with what I was supposed to do. It seemed so huge a task; I was unable to bring myself to face it. A friend came to me and spoke two words that broke that paralysis in my life. He said, “Do something!” I’ll never forget that day…taking some small, seemingly insignificant steps. Momentum began to come into my life. If you are at a point of paralysis in your life because of what you feel you’re supposed to do, the words today are, “Do something!” Don’t worry about the long-term goal right now; just take the steps that take you past the starting point. Soon you’ll get to a point of no return. As you climb higher, you’ll be able to see much farther. As you begin, don’t be afraid. Eric Hoffer said, “Fear of becoming a ‘has-been’ keeps some people from becoming anything.” Every great idea is impossible from where you are starting today. But little goals add up, and they add up rapidly. Most people don’t succeed because they are too afraid to even try. As incredible as it sounds, they decide in advance they’re going to fail. Many times the final goal seems so unreachable we don’t even make an effort. But once you’ve made your decision and have started, it’s like you’re halfway there. Start—no matter what your circumstances. Take that first step! What is preventing you from moving towards that dream? Go confidently in the direction of your dream. Do you have a dream to be self-employed…to own you own business? Does this dream inspire you, energize you, and stir your inner drive to do everything you can to achieve it? Perhaps the most important question is, “How will you achieve your dream”? The answer to this question is imperative because “it is the reason” most people never realize their dream. They have no guidance or strategy in place, no knowledge of what is needed and must be sometimes sacrificed to have the dream come true. Most people have no idea how to achieve their dream of becoming a business owner. They don’t know what type of business is right for them, where or how to start the process. So, most people simply get overwhelmed with fear, uncertainty and doubt. And, when people are unsure as to what, how, and when, they STOP. Become a Mobility Consultant who can provide stair lifts, fixed and portable ramps, scooters, power wheelchairs and other mobility related products to individuals suffering with mobility limitations. Be appreciated in an under-served market by providing in demand mobility solutions to your community. The Baby Boomer population is aging and they want to stay at home for as long as possible. Appliances like stairlifts, scooters, power wheelchairs and other home improvements can help people age in place, staying independent, be mobile in their community and remain living at home with no significant structural modifications to their home. Are you in career transition, or contemplating making a change? Would you like a "sounding-board"? As a former Human Resources executive and now a Franchise Coach / Consultant, I have over three (3) decades of assisting folks with career transition. Plus, I have personally walked down that path a couple times myself. If you would like to visit about career transition in general, entering self-employment via a franchise or business opportunity and / or UT sports, please call me at your convenience… 888-479-2491. Or shoot me an email with your phone number and a good day(s) / time(s) to call you. I will gladly provide complimentary advice and counsel. And, remember, I'm a coach, not a sales person. Would this scenario be of interest and value to you… a process where you receive assistance to help you better identify your goals, financial requirements, lifestyle needs and what you would like for your work-life to look like; then provided information on self-employment options and guidance on exploring these opportunities within the confines of a supportive, educational and no-obligation environment? Teamwork Financial Group and Doug Moe...Texas Ex. Doug is the CEO of Teamwork Financial Group in San Antonio. He is an attorney and CPA. He has provided valuable insight to me and my wife regarding investment / financial advice, including guidance on having a Will vs. Revocable Living Trust, re-balancing our investment portfolio, as well as assisting us move a portion of our IRA investments into Fixed Asset Annuities. Over the past several months, I have had a number of very enjoyable meetings with Doug, since we have a tendency to spend time talking sports, as well as financial / investment stuff. Doug played basketball at UT in the 80s and is the son of Doug Moe, the former coach of the San Antonio Spurs. And, a great guy. 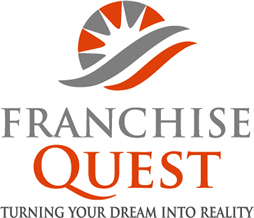 2017 newsletters; as well as copies of 2016 and 2015 newsletters can be viewed by going to the Franchise Quest Website. Would you like to grow your business by franchising. I’m a coach, not a sales person. And To View My Video Business Card.